Well, as it turns out, that’s actually one of many different forms that this Pokémon can take. First, the Pokemon starts out as a cell. Then it turns into a core—this is the mysterious green blob that The Pokémon Company was teasing for a while. Then it turns into...a dog? 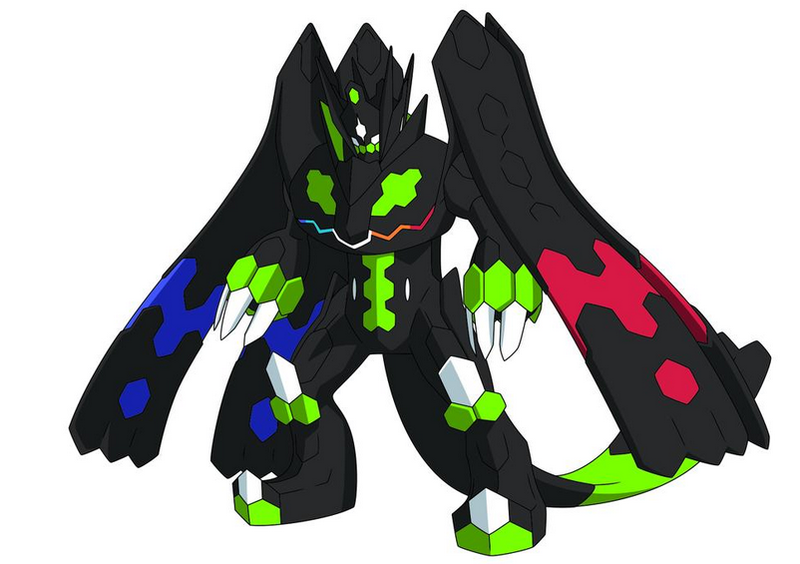 And THEN it turns into the Zygarde we’re familiar with. But wait, there’s more! Its final form is something that resembles a transformer. Individually, some of these Pokémon look pretty good. That dog looks sweet, and of course the complete form looks awesome. But put all together, as a concept, it’s really silly—and perhaps a sign that the concepts behind some Pokémon are becoming a little convoluted. I say this knowing full well that I’m going to try to capture this and see all of its forms in-game if possible. Damn it, Game Freak. But what I want to know is...does this mean we’re getting a Pokémon Z eventually? Or are we skipping that whole “third version” thing this generation?